This 37m yacht, sister ship to S/Y Carlotta, was commissioned by an experienced British entrepreneur and yachtsman, who sailed it extensively round the world. Highly successful in the charter business, the yacht is currently cruising the Mediterranean. Khaleesi is an excellent charter yacht to enjoy with family and friends. 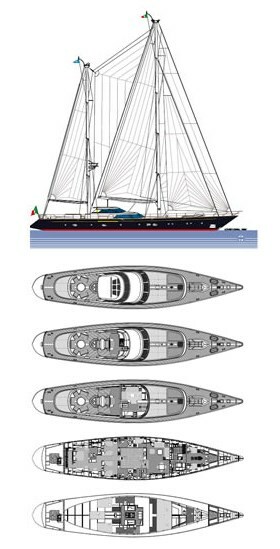 Recent refits have made improvements but kept her classic Perini styling. Her cozy aft cockpit area with dining makes for the perfect alfresco lounge.